Although the history of Snapchat is barely 5 years old, a lot has happened. From an idea in a class at Stanford, Evan Spiegel and his team have grown the platform into a force to taken seriously. Recent reports have stated that Snapchat now has over 100 million daily active users and 8 billion daily video views. Snapchat’s popularity continues to grow as more celebrities join the platform. DJ Khaled has become incredibly popular. He frequently shares motivational speeches and catchphrases. As a result he has received movie deals, a radio show, clothing line and millions of new fans. Snapchat now poses a serious threat to Facebook, who tried acquire the company in 2013 for $3 billion. Many tech commentators questions Snapchat CEO Evan Spiegels judgement when the then 23 year old turned down the offer. Snapchat’s popularity started to grow as more and more parents were joining Facebook. Millennials searched for a new platform to connect with their friends. Snapchat has capitalised on their user base who were attracted by the disappearing photos by constantly updating and improving. Stories were launched in 2013, giving users a reasons to check the app more frequently and increase time spent in the app. Recent reports have stated that the average millennial spends 30 minutes each day on the app. Snapchat is second only to Facebook in time spent on social platforms. January 2015 saw the launch of Discover which is part of Snapchat’s monetisation plans. Huge media companies such as Buzzed and Mashable have joined Discover and seen impressive results. Recent updates have included on-demand filters and last week the Chat 2.0 update was released. According to many analysts Snapchat is well positioned to IPO and take over the social media industry. 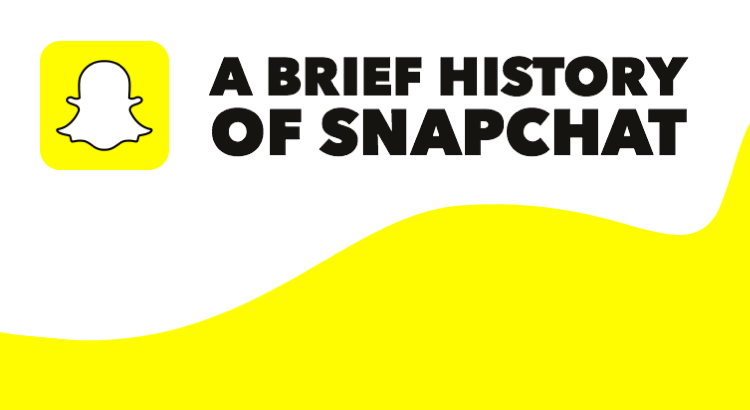 Check out the infographic below for more details on the history of Snapchat.